This Hike is FULL, thanks for your interest! 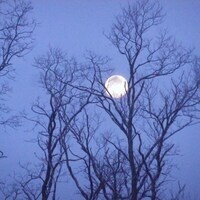 Join Sandcut Outdoors to take a winter moonlight hike. The program will vary depending on weather conditions, but may include a variet of topics ranging from night vision and animal adaptations to darkness, to winter ecology, to nighttime navigation. Outdoor activities will last approximately one hour followed by hot chocolate at the Environmental Learning Center. Registration is required by calling 570-945-7110.